If you’re already so in love with Lara Croft’s upcoming adventure that you’re committed to playing it multiple times, you’ll be happy to know that Shadow of the Tomb Raider will offer a New Game Plus option, letting you carry over your skills and gear into a new playthrough. You’ll also have a unique incentive for playing again, with abilities that are only available on the second go. Starting up in New Game Plus will allow you to carry over all your skills, weapons, outfits, equipment upgrades, and gear – pretty much what you’d expect. You’ll also be able to choose one of three new skill paths to go down, with options favouring stealth, combat, or exploration. The Serpent Path will allow you to use camouflage in sneaking through enemy encounters, picking foes off one by one with the use of decoys. The Jaguar Path is all about ferocious melee, with a big emphasis on knife takedowns. The Eagle Path gives you big scouting options, with easy traversal and the improved ranged attacks. In concrete terms, each path will provide a unique set of rewards for progressing down it, with specialised weapons, outfits, and skills that you won’t find in a standard playthrough. Exact details on those aren’t provided in the announcement, though ‘Jaguar Rage’ and ‘Eagle Sight’ will be among the skill options. At last, the Tomb Raider-meets-Animorphs crossover we’ve been waiting for is here. 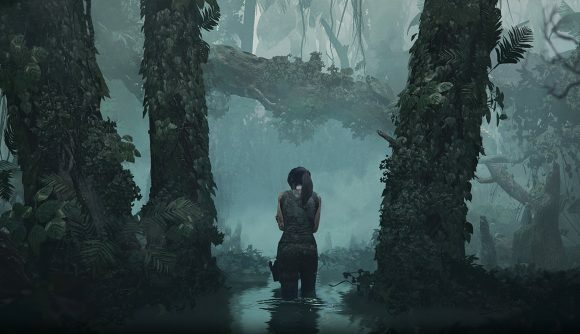 Shadow of the Tomb Raider is less than a month away, and the developers have been providing a drip feed of new gameplay details along the way. One of the most interesting is the customisable difficulty setting, with separate options for combat, puzzles, and exploration – a neat feature that would be fantastic to see in more action games going forward.